Who Is Minding the Future? Very few companies have a formalized process or infrastructure for creating new business opportunities for the future. Few take the time to research the emerging marketplace and try to understand how it could differ from the markets of today and what opportunities might be available. Few examine the many ways that companies are rethinking their business models based on emerging trends in order to deliver customer value more efficiently and effectively. “Companies spend hundreds of millions each year trying to anticipate market trends and better know their customers, but focus groups, sales numbers, and survey data don't paint a full picture. 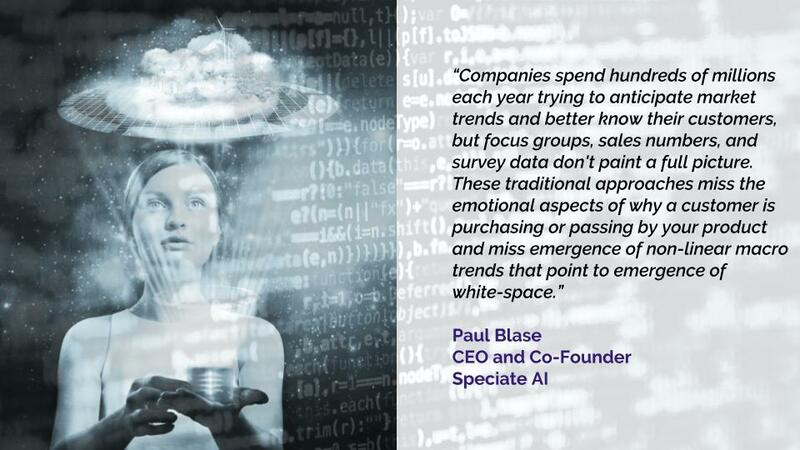 These traditional approaches miss the emotional aspects of why a customer is purchasing or passing by your product and miss emergence of non-linear macro trends that point to emergence of white-space.” explains Paul Blase, CEO and Co-Founder of Speciate AI. Most companies do not have someone responsible for the future. There is frequently nobody who is focused on the role that strategy can play in growing a business for the future. As a result, strategies are merely carried over from previous years and eventually become fixed as a way the company does business, something that is a ‘‘given’’ from year to year. 1. The future does not yet exist and can be created. There are some people who feel that the future has already somehow been determined and will be revealed to us as it arrives. Those who feel this way tend to be very reactive in their actions, for they fear that they cannot control the future. They will take no action until the future arrives. By definition, the future does not exist and never will (once you experience tomorrow, it is no longer tomorrow, but today). Because the future is not a fait accompli, it can be influenced. Although maybe not a totally blank canvas, the future has considerable latitude for the artist to make an impact. Actions taken today by a company will result in some future effects in the marketplace. Therefore, proactive companies that take those actions today will have the greatest influence on the future. Reactive companies may survive into the future, but it is the proactive companies that will create that future. The proactive companies can, through their actions, ‘‘change the rules’’ in the marketplace (requiring the reactive companies to play the game a different way or perish). 2. The future cannot be precisely predicted, but its forces can be identified. If all trends were linear, constant, and non-interactive, it might be possible to predict the future. However, trends change, and so much of the future is shaped by events that cannot be predicted. We call these events discontinuities, things that shift the trend lines. They are inflection points that cause the future to be diverted from its previous path. The invention of the transistor, the evolution of the Vietnam War, and the development of the Internet were all discontinuities that had a significant impact on the future that we are now experiencing. The human genome project, the 9/11 terrorist attacks, and nanotechnology may have a similar impact on our children’s future. Although these elements cannot be predicted with any degree of certainty, the forces that led to them would have been quite easy to spot—by those who were searching for them. It is a valuable exercise to identify existing forces that could have an impact on the future. It is not the same as predicting the future, but it is gaining market foresight that can help understand and shape the future. 3. The future is not one-size-fits-all, it is proprietary. Companies perceive the future according to their past experiences, their core competencies, and their values and aspirations. Therefore, two companies from the same industry may see the same forces in the marketplace, but paint two totally different pictures of the future. The future you see is proprietary to you, based on your values. Staging for Success: Our process for a Thought Leader Panel is the most effective way to create a preferred future. At the start of an engagement, we complete a Staging Phase to fine tune our approach for client impact. We interview, align and engage senior leadership on the process and desired outcomes. We ask questions such as, what is the Leadership Mandate for innovation? For growth? And what are the key future assumptions that need to be challenged by the process? We plan backwards from the desired outcomes and impact to sharpen the process design, including, but not limited to, who are the key implementers that need to be engaged to ensure “action”. Identifying and leveraging better insights, faster (instantly when possible), cheaper and more focused for future growth. We use partners like Speciate AI, with a leading edge proprietary technology to provide new insights on growth, often in real-time. We facilitate insight exploration and identification across three vectors: customers, marketplace dynamics/future forces and business model innovation. Our Discovery Process uses insights as springboards for innovative growth strategies. We help clients create, develop and sustain Growth Portfolios - incremental to breakthrough. Our value proposition continuum is growth opportunity identification to monetization, faster! Where possible, we look to sustain a client’s growth virtually (high-tech) and through coaching (high-touch). There’s more than one way to gather customer insights. Enterprises that focus on innovating how they stay in touch with their consumer will reap the rewards of their efforts. Today there is a powerful digital equivalent to what was used in the formulation of insights in the past. Our Thought Leader Process tool generates foresight for clients. How we harness the power of artificial intelligence boosts the process, and effectively challenges an organization’s future assumptions in a Thought Leader Panel. We have designed and facilitated hundreds of them, dating back to the mid-80’s with Pillsbury. Today, we use artificial intelligence as a high-tech complement in the formulation of insights. How does it enhance and even improve the process? By harnessing the power of high-tech, they make this invisible, limiting force, we call assumptions, visible. And then, by bringing in outside-the-organization Thought Leaders, the combination constructively challenges those assumptions in a way that reveals which ones are true, which ones need to be modified and which ones need to be replaced. Importantly, these Thought Leaders are engaged as “provocateurs”, not sages with solutions. They and the Thought Leader Panel process spark new thinking and alignment for those most accountable for the future of the enterprise – the leadership. Distills the vast amounts of market data into an essence and a FutureBack Strategy. Provides better, less biased perspectives than focus groups about customers unmet needs and what propels them to buy or seek out a product or service. Creates exponential value. With artificial intelligence as an Innovation Team (iTeam) member new core skills and capabilities for foresight, insight and action become embedded in the DNA of employees, from the factory floor to the boardroom. Our partners at Speciate AI use artificial intelligence to evolve how companies and customers exchange ideas and feedback to create better products and services. Meet HOOT! a new member of your iTeam. HOOT! 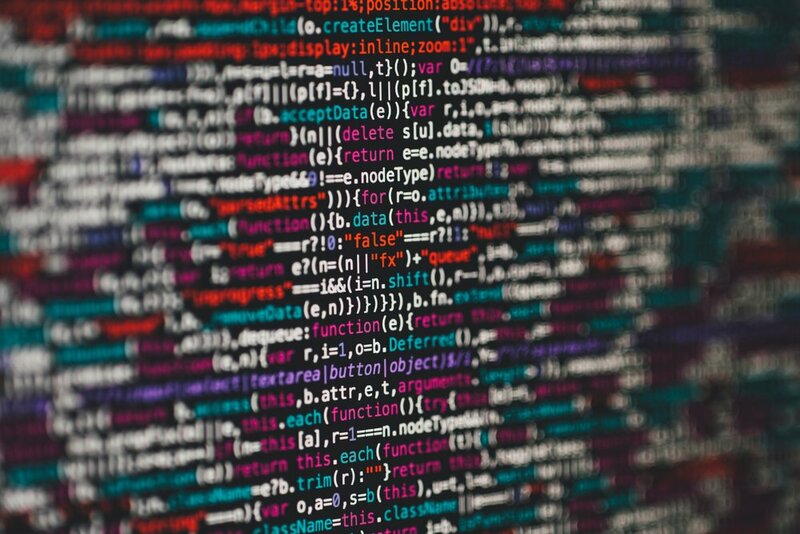 is artificial intelligence that helps teams and companies learn from vast quantities of market data to understand what the market feels about your products and identify ways to grow. Kate Besser, COO and Co-Founder of Speciate AI, describes how artificial intelligence provides companies 10x the customer insights at 1/10th the cost. There’s a clear distinction between insights and market research surveys. We collect insights as possibilities, but not all of them will blossom into reality. Only one person out of 100 might say something different, but that one comment could lead to a breakthrough idea. Speciate AI was founded by former leaders of PwC’s global data analytics consulting team. Their experience advising Fortune 500 companies on how to apply advanced data and analytics techniques gave them three insights: companies have barely begun to tap unstructured data, companies are just scratching the surface on applying the power of artificial intelligence, and the economics of analysis can be radically transformed by creating AI-driven solutions that analyze multiple data sources to find white-space, identify trending features, evaluate pricing and provide unbiased views of customers.